Reina Iizuka is seen in this handout photo from the University of Manitoba. 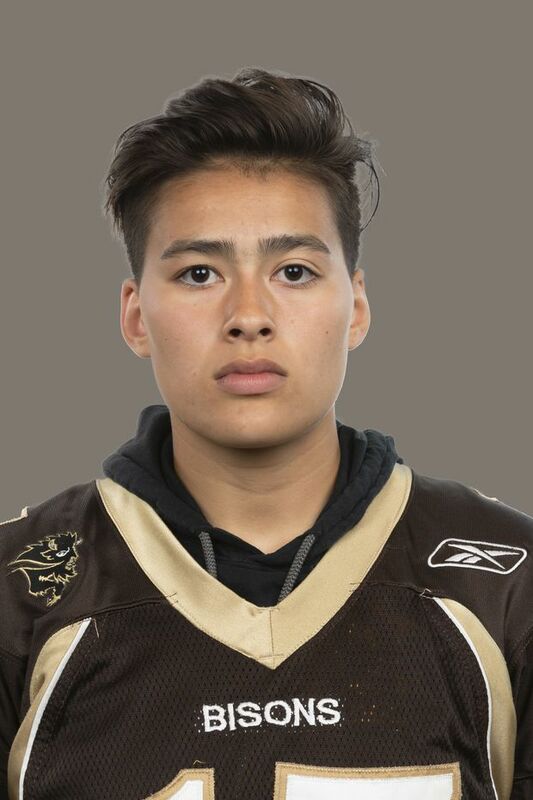 The 5-foot-7, 160-pound defensive back is entering her third year at the University of Manitoba, having been a red-shirted player on the Bisons in 2018. The Mississauga native applied to Manitoba in 2017, but wasn’t on the roster her first year, working out with the team while she recovered from a knee injury. Iizuka sees herself as a football player first, but understands how others can consider her a trail-blazer and a pioneer in her chosen sport. “I’m someone who plays the game but I also realize with that will be responsibility,” she said during a telephone interview. “I’m just a player but at the same time I’m that [pioneer] as well. Iizuka will be part of the CFL contingent participating in the NFL Women’s Careers in Football Forum this week in Indianapolis. Joining her will be Christina Litz, the CFL’s chief marketing officer, Ryan Janzen, the league’s senior director of football operations, Erin Craig (strength and conditioning director for the Saint Mary’s University football program), Andrea Eccleston (equipment/team administrator, University of Saskatchewan) and Kristine Walker (associate head strength and conditioning coach, University Western Ontario). Bisons head coach Brian Dobie made it clear Iizuka had earned her spot in his program. That’s quite a statement from the winningest football coach in school history (92-90-1), who is entering his 24th season at Manitoba. “I didn’t do this to make a political statement that I’m going to be the coach or we’re going to be the program that’s going to give this young woman a chance and be a breakthrough,” Dobie said. “I brought her here because of her drive, passion and determination and she had the skill level and experience to back it up. Dobie, 66, fondly remembers watching Iizuka for the first time while serving as a guest coach at a summer football camp in the Toronto area. Her rapport with Dobie was a key reason she chose Manitoba. Iizuka immediately reminded Dobie of another passionate athlete — his daughter, Caleigh, who was a member of the Manitoba women’s volleyball team that won a Canadian university championship in 2014. “I’m a coach but also the proud father of a daughter who did everything she could to be the best she could be in her chosen sport,” Dobie said. “I see Reina as a young person who’s trying to do the best she can to be the best she can in her chosen sport. The biggest challenges Iizuka faces are physical, given many of her male counterparts are bigger, stronger and faster. But Dobie said Iizuka easily matches her teammates’ work ethic, football intellect and heart. “She works really hard and does all the right things,” he said. “She sits at the very front of our classroom every meeting, she’s literally in the front row and taking notes. Dobie said the majority of Bisons players are good with having Iizuka aboard. And he has a simple message for the few who might not be. “She has earned her position to this point as much as anything because of her attitude,” said Dobie, whose program has produced NFLers Israel Idonije and David Onyemata. “Not everyone in our program is a first-team all-Canadian and going to the NFL or CFL. Iizuka played minor football with boys in both Mississauga and Toronto growing up and said she’s never had an issue gaining acceptance from her male counterparts. However, Iizuka often felt she had more to prove on the field. As for the biggest challenge she’s faced, Iizuka said that’s come from within. 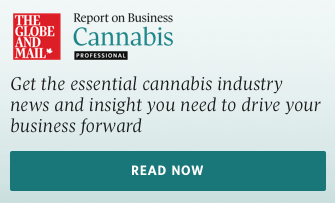 “It was realizing at a young age I could only control what I could control and within that, try to optimize all the potential and opportunity in front of me,” she said. “The physical is a given, biologically it’s what it is. Ultimately, though, it will be up to Iizuka to determine whether she’s able to play for Manitoba. Dobie, for one, isn’t betting against her. “Oh no,” he said. “The rules say we can dress 50 players at home and we’re going to carry 85 to 90 so you can do the math. “Can she make her way through that group and get to the top 50? It will be extremely difficult, no question, but she’s overcome a lot just to get here. Iizuka, for one, believes she has the ability to play for the Bisons. “Oh, no doubt,” she said. “We have a great team and everyone coming into the program is good enough to play. Dobie said Iizuka will have many opportunities to remain in football after her university career is over. “You could go to 200 football clinics and you wouldn’t learn what you learn in a university program over that four-to-five-year period of time,” he said. “I think Reina could end up having a career where she’s very impactful in the sport of football, I honestly do.